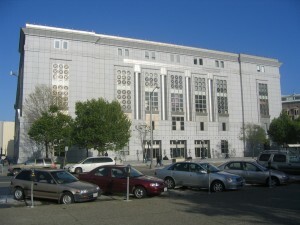 San Francisco, CA — A man accused of attacking an unsuspecting library patron with a chair has been acquitted of all charges after evidence pointed to a case of mistaken identity, San Francisco Public Defender Jeff Adachi announced today. After deliberating three days, a jury on Thursday afternoon found San Francisco resident Clifton Moore, 26, not guilty of assault with a deadly weapon and battery with serious bodily injury, both felonies. The jury also acquitted Moore of two counts of misdemeanor assault and one count of misdemeanor battery, said his attorney, Deputy Public Defender Jacque Wilson. If convicted, Moore faced up to nine years in state prison. In the apparently unprovoked attack on Sept. 11, 2013, a 61-year-old homeless man was struck from behind with a chair while using a computer terminal at San Francisco Main Library. The victim, who did not see his attacker, suffered a 2-inch deep cut to his scalp. Moore was detained by library security and ultimately arrested after being identified in a “cold show” by four people. During the trial, however, Wilson revealed critical evidence that cast doubt on the identification. Minutes after the attack, the four witnesses gave police dramatically different written descriptions of the suspect. The first witness wrote that he saw the attack, but could not describe the attacker. The second witness described the assailant as a black man wearing brown pants while the third witness described him as a white man wearing shorts and a hoodie. The fourth witness said the attacker was a black man wearing shorts and a hoodie. By the time they identified Moore in the cold show an hour later, the witnesses had discussed the suspect, “helping” each other with the details, a witness testified during Moore’s trial. In police interviews the day after the attack, all four witnesses had changed their initial descriptions of the suspect to that of a black man wearing green shorts. During trial, eyewitness identification expert Dr. Geoffrey Loftus testified that when witnesses hear second-hand information following an incident, that post-event information easily becomes jumbled with their recollections. The more the post-event information is discussed and repeated, Loftus testified, the more believable it becomes to witnesses, even if it contradicts their initial impressions. False identification by eyewitnesses is the most common element in all wrongful convictions later overturned by DNA evidence, according to the Innocence Project.